All expenses and incomes are centralized in the cart of the contact file (member , external , etc …). The different movements (debit or credit) will impact the balance of the file. The balance is visible in the header of the file, but also on the contact list . The cart and the balance are displayed in the personal space of the contact. Expenses and incomes are sorted by date and grouped by month/year. You can export the movements of the cart and send them into other softwares (eg spreadsheets ) , by using the “Export” button. To add an expense, use the “debit ” button. You can then choose if it concerns the purchase of a product identified in your catalog, or if it is a simple expense. 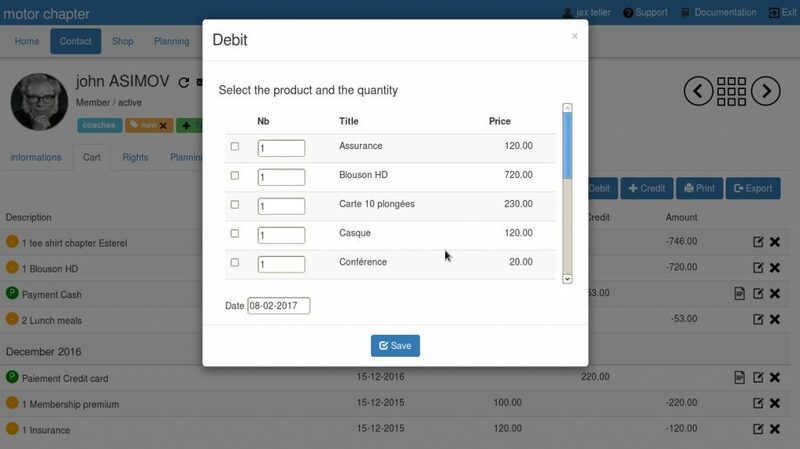 In the window of ” debit ” you can choose the style and the amount of the expense or product by the list (check and change the quantity). You can change the date of purchase at the bottom of the window. The default date is the current date. The expense line will be created and will be deducted from the cart. The payment line will be created and will be credited in the cart. 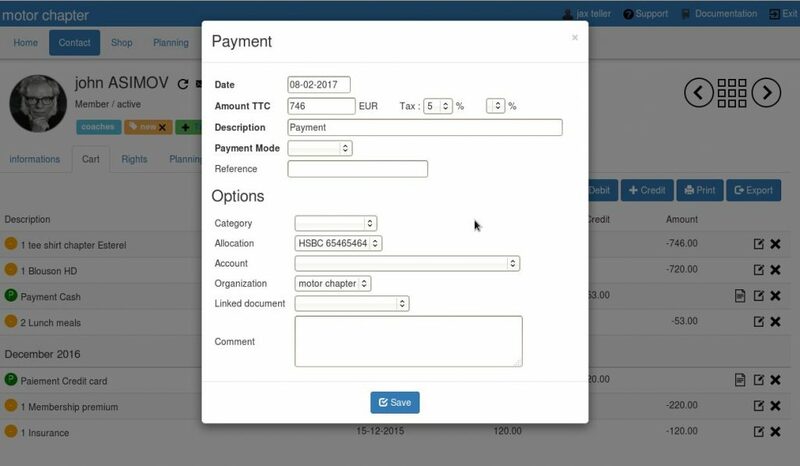 The creation of a payment will generate a revenue line in accounting. If the online payment has been created from the contact space, a payline will be automatically created in the cart . To add a discount, credit or adjust the balance of the file, enter a credit with the “credit ” button. In the following window, enter information related to this credit : amount , description, date. The movement will be created and will be credited in the cart. 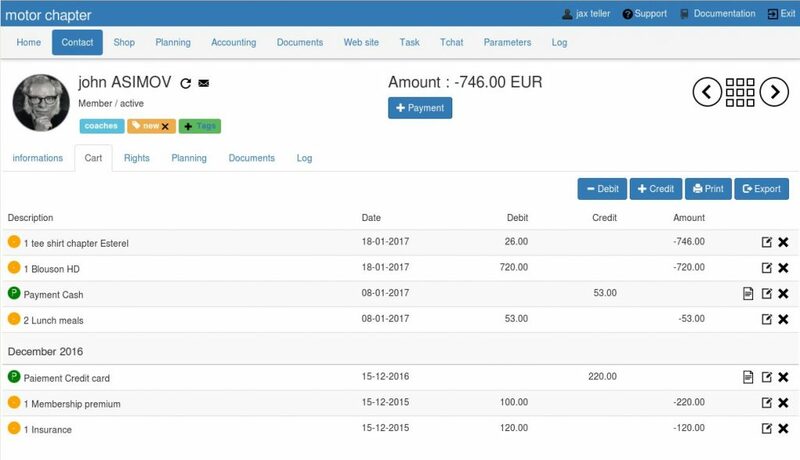 An invoice is automatically created for each payment. It includes all purchases not yet payed . To edit the invoice, click on the icon page on the payline . The edition of the invoice is also possible from the personal space of the member.